Thanks ever so much Dave. We do have the lights and we are in the process of testing them now. They are considerably more elaborate so we are taking our time. The initial impressions are very positive. The PAR, LUX, UV and coverage are as as good or better than what we have now and that is with the additional colours of red, blue, UV and now the ability to dim. We are still fiddling with the capabilities as these are brand new and the documentation is terrible but that seems to be par for this industry. My advice to Orphek is that they just may have an excellent product representing a best practice for this hobby but without better documentation they are going to have great difficulty convincing people like me. Having said that (I don't want to minimize how important it is) I am very very impressed with what we have seen so far. 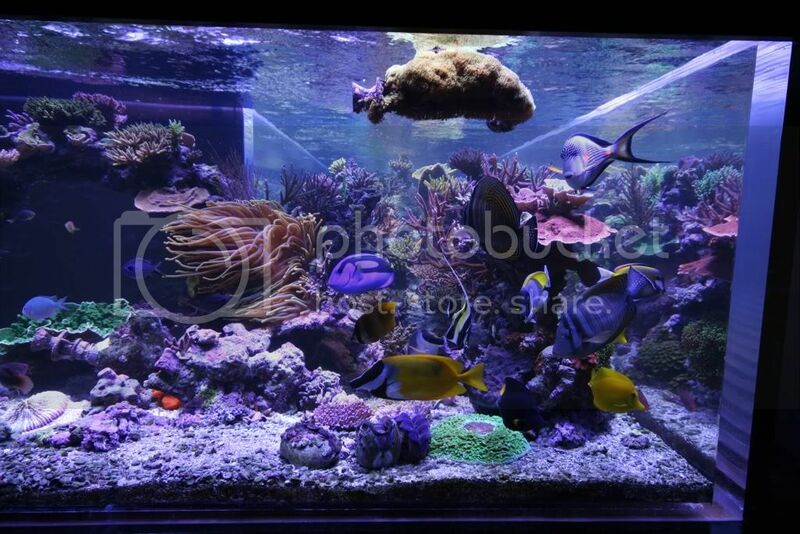 The product is well built and I believe very well suited to our needs as Marine Aquarists. 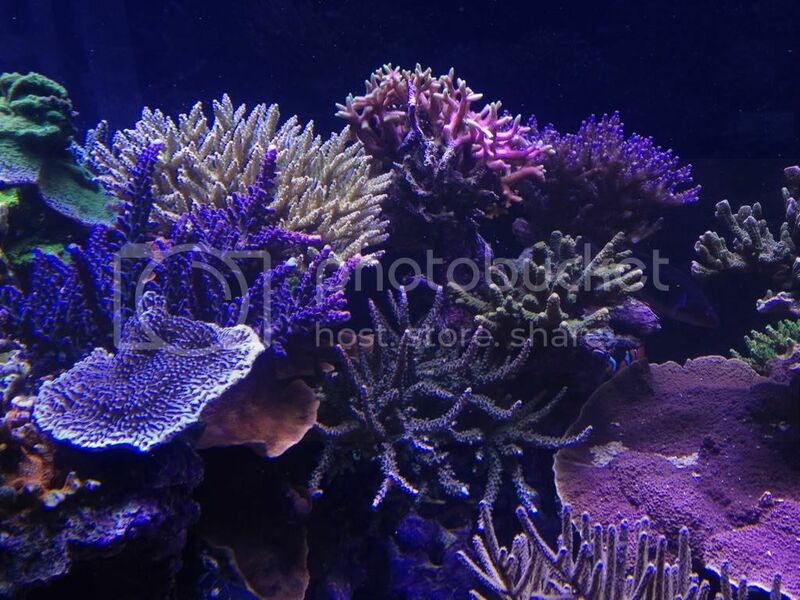 I will be taking pictures when we put them up but I am very excited to see the real testament to the quality of the lights in the resulting coral growth and colour in our tank. I have been somewhat absent from the thread NOT from lack of interest or passion for the hobby but from the seasonal activities and most recently a bout of food poisoning that was very severe. I am OK but I haven't spent much time on the keyboard. I have however been engaged in one activity or another in the fish room and tank so lots to report on and update as my time allows. I am going golfing next weekend in Orlando so Mr. Wilson is minding the tank while I'm away. I took about 2 hours of 1080P video with the GoPro camera (Highly Recommended) but its still too shaky to post so I need a bit more practice. Recently I had to sign a non disclosure for a film crew that was here to film the tank as a backdrop for a program I can't talk about but I can tell you that the camera crew that took the pictures produced a product that was absolutely awesome in terms of quality.....and that was just looking at the raw footage without any post processing. At least now I know its possible and I'm tempted to bring the crew back to do a shoot just for us.....will see in a few weeks. 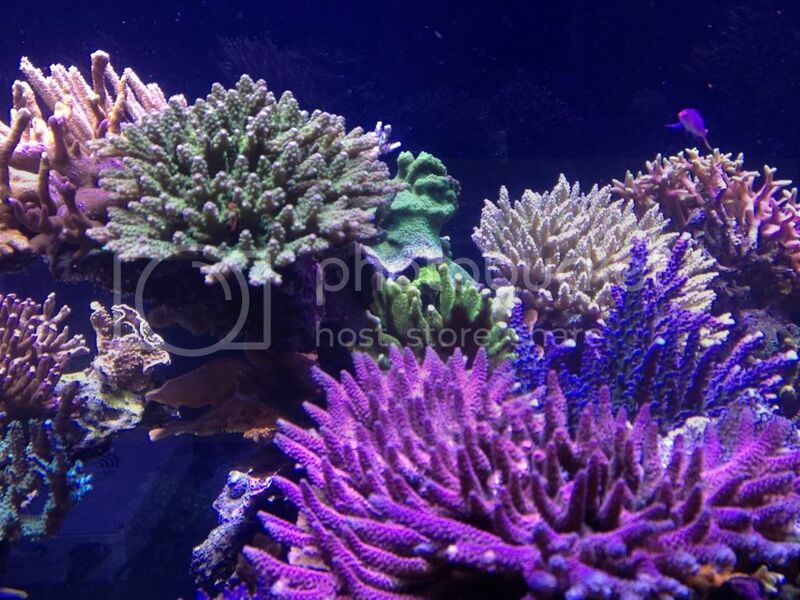 The tank its self is in fantastic shape and the growth and colour of the coral is fabulous. I will try and get an update soon so please forgive the tardiness. May I venture a guess? 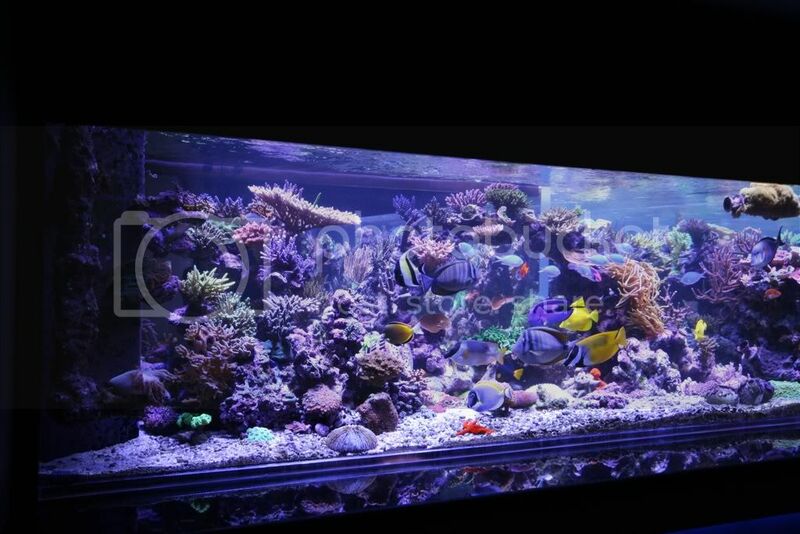 Was it Brett and the gang from ATL (tanked)? Part of season 2? nope....but that's good Rob, that would have been my guess too. Could it be Daniel Knop and other editors from coral magazine? If Peter had a Thor Amboinensis I would have guessed it was Hugh Hefner. Any idea when you will be able to share more info about it Peter? Apparently not until the fall. aaaaannnnd not until the night of broadcast. But its just the backdrop not the focus. The spectrum seems a bit lacking over 600nm ( http://huvco.com/content/parans/LightSpectrumChart.pdf )but it might not be such a big problem since if I interpret the chart on the 3rd page of this link correctly ( https://qir.kyushu-u.ac.jp/dspace/bi...0004506687.pdf ) it would reflect the spectrum at a depth of 5 to 10m pretty accurately. It would also be supplemented by other lights anyway. Appart from the savings on electricity, you would also get a much more natural-looking sunrise/sunset since the color of the light changes during the day (would probably work well for moonlight too, and who knows maybe even start your corals spawning ). The HUVCO – Parans Fiber Optic Skylight is a unique way to bring natural light deep into an interior space. The system is comprised of an exterior daylight collecting panel which has 64 Fresnel lenses on the inside. These lenses rotate to track the sun automatically, controlled by an internal computer. Each lens acts like a magnifying lens to focus the sunlight. This focused sunlight is directed into a fiber optic strand, each individual strand is combined with other strands to create a fiber optic cable, 6 mm in diameter. There are four fiber optic cables coming out of each panel. Each of these cables can be up to 60 feet long. These cables can be routed through walls or ceilings and bent around obstructions. Each fiber optic cable can be used to bring the natural light to a different interior luminaries; or they can be combined in one luminaries. There are a variety of luminaries available, some of which combine the natural light and electric light into a hybrid fixture. The hybrid fixture can be combined with a sensor that will automatically turn the electric lights off when the natural light is sufficient"
Yes we were aware of this product and website. In our Northern location the days are too short and dim during the winter and too long and perhaps too bright during the summer. A light filter would have to be used to remove the green and red light and increase the blue. 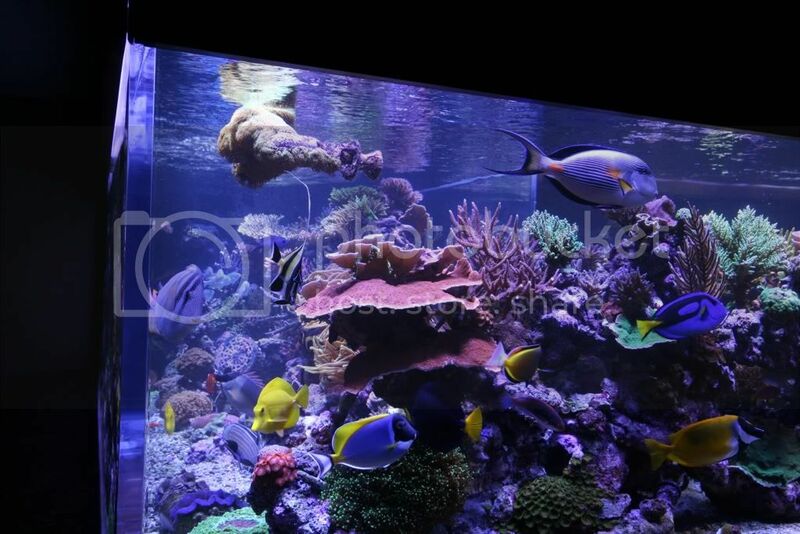 Recent studies show that exclusive blue light for a few hours each day is beneficial for coral pigmentation. This is hard to do with natural light. 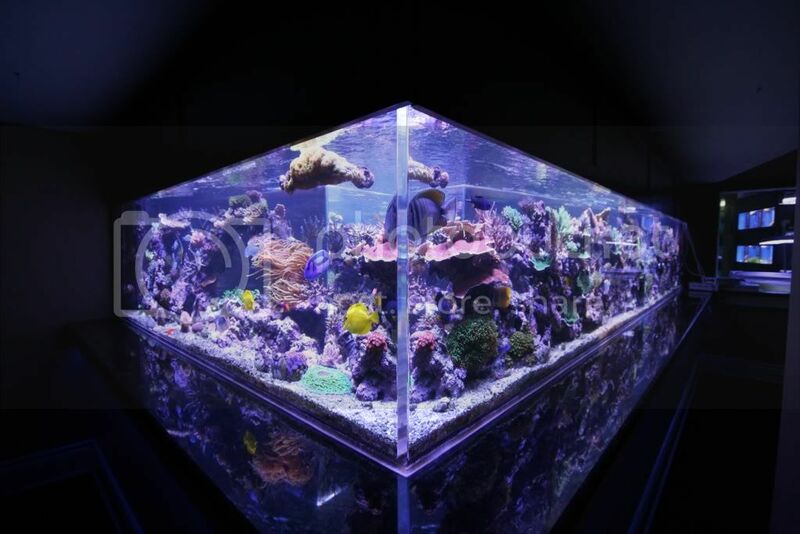 The light cast by these systems is adequate for reading but may fall short for growing corals in 30" of water. 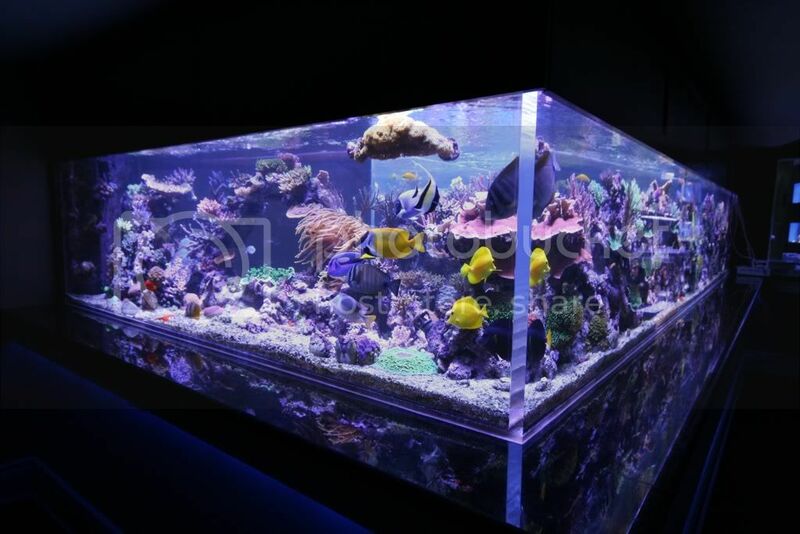 You can look directly at these light wells with the naked eye, so they are likely not nearly as bright as typical aquarium lighting. I am excited about the technology however. It will no doubt improve and replace artificial lighting some day. Fibre optic technology may prove to have further value with a central (artificial) light source that delivers light to the whole house or office. This would limit heat and noise from light sources. 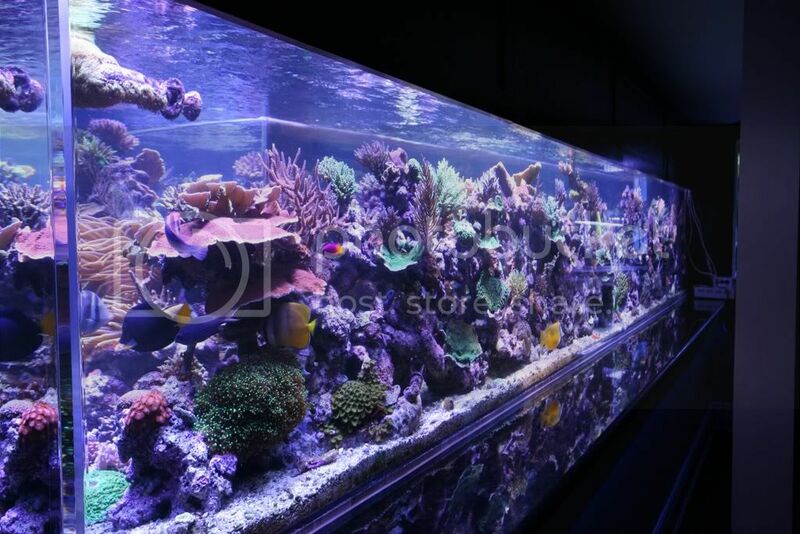 Renewable energy sources like wind and solar continue to improve steadily and will have a place in our reef hobby sooner than later. We lost some momentum in the thread with the split, but I think we are over 2 million views. Peter has a guy coming in to do a video this week. I keep saying I will take some updated pics, but time is fleeting these days. Peter has a new Go Pro 2 camera he has been playing with. I have some look-down viewing boxes we can try as well. We have never taken pics from above, should be fun. 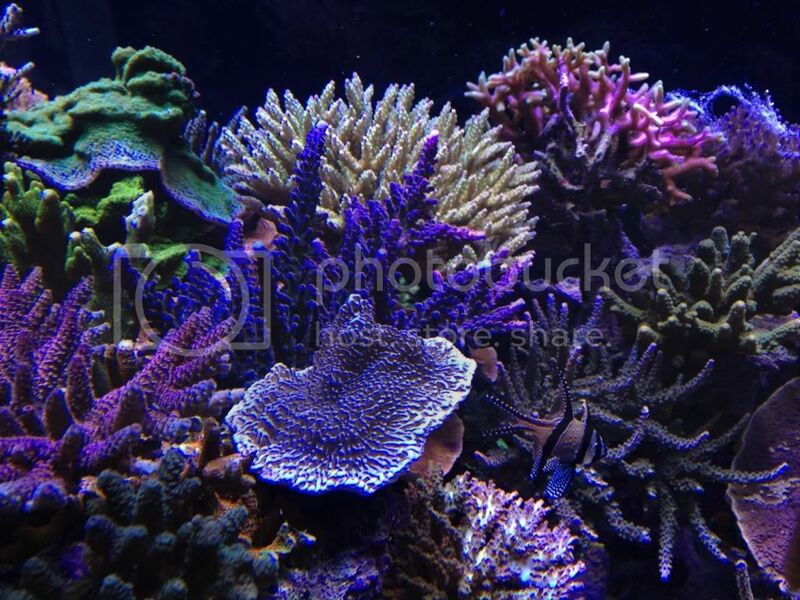 Amazing colors and growth!! Looking fantastic!! For cell phone pictures? thats awesome! Peter & Shawn & team fantastic work. Great job, i can't wait to see this one day. 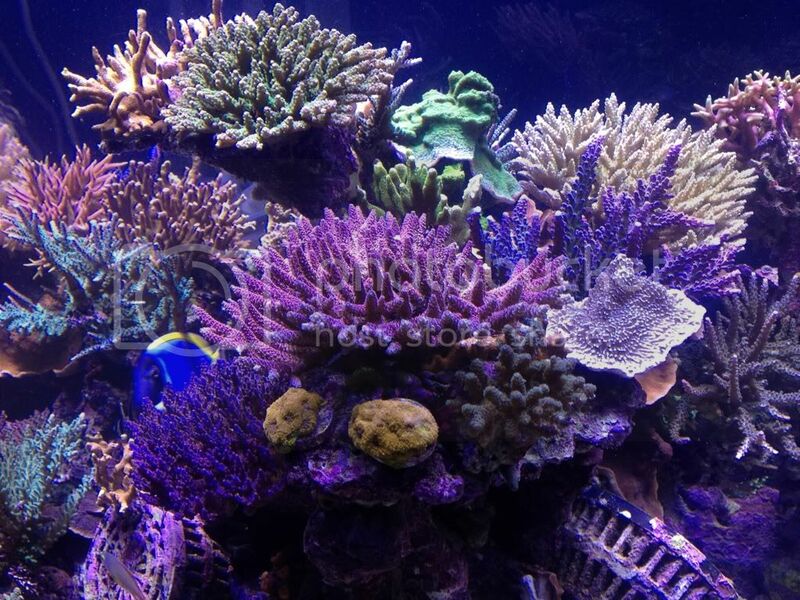 Growth and coloration look amazing Shawn! Last edited by CalmSeasQuest; 02/07/2012 at 09:10 PM. I would love to see some underwater pictures if you have them or have the ability to take them. Always nice to see things from another perspective. 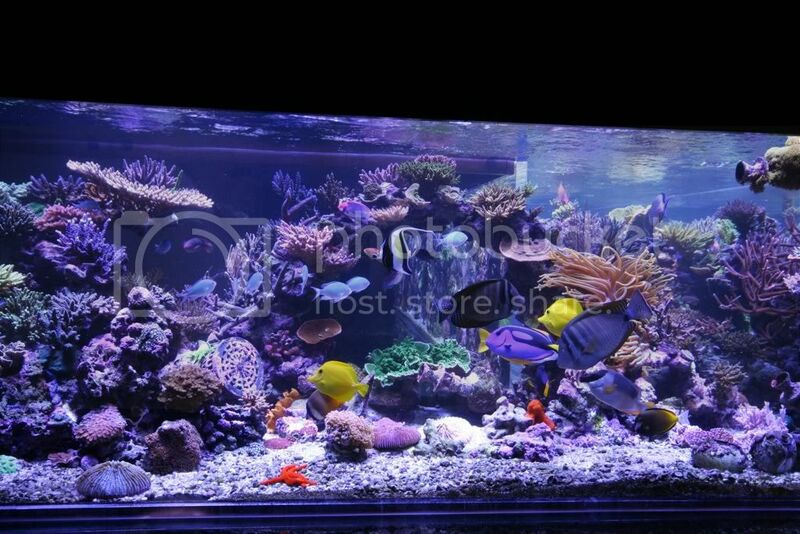 As always, beautiful tank. Even those iPhone pictures are wonderful. Very impressive! 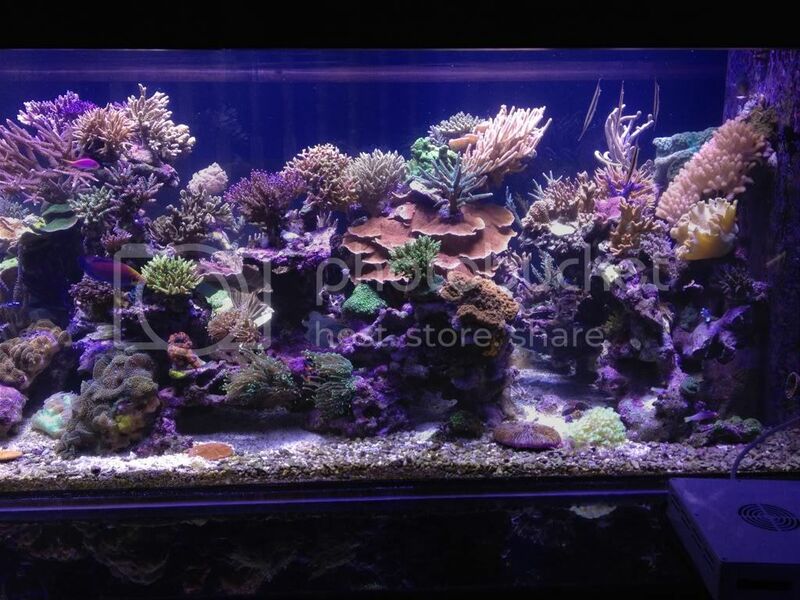 While it was already very nice, the health of the whole reef has clearly improved a lot! 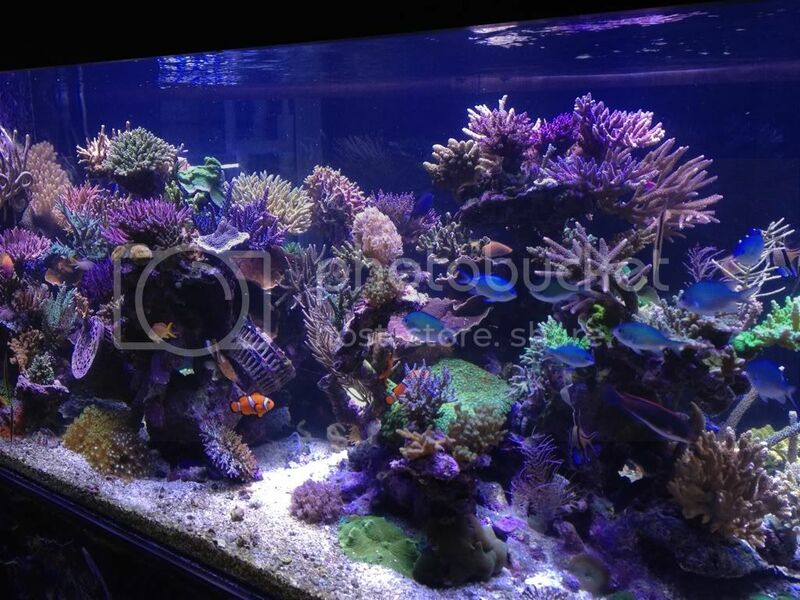 gorgeous tank/infrastructure, when you were planning the tank, did you have a budget in mind, or have you seen it over budget by a few fold?.. Man, I gotta get back up there to see how the tank is coming along. Is this under the new lighting regime? Can you tell us how you have the colour balance set in these (lamp colour ratios)? What sort of dimming or effects are you using with the new lamps, if any? Do they take the same ballasts or do the new lamps need new ballasts as well? 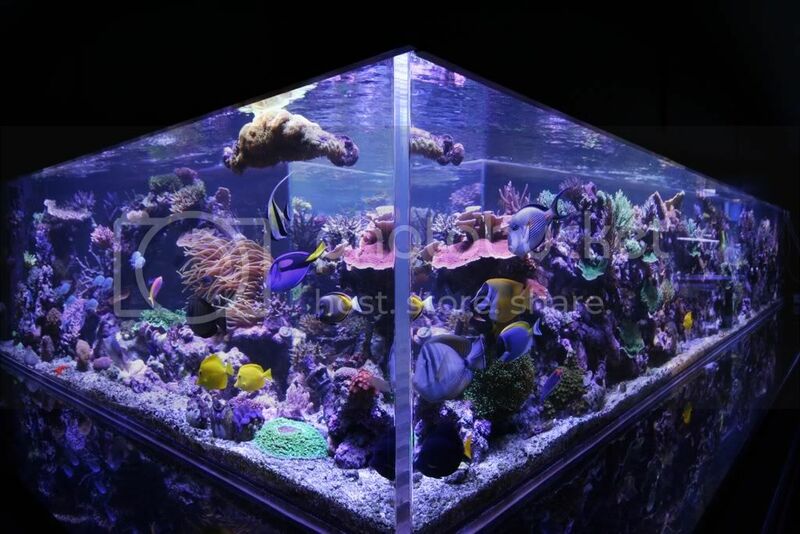 To estimate the budget for this tank you would take your worst nightmare......double it.......and you might be half way there!!!!!!! !plus expenses. Dave, we took 7,500 pics last night but we haven't had the chance to go through them yet. I will ask shawn to present the specs on the lights as I would probably get it wrong but the results are beyond incredible. More later, I have to take one of the Bentley's in for its annual inspection. 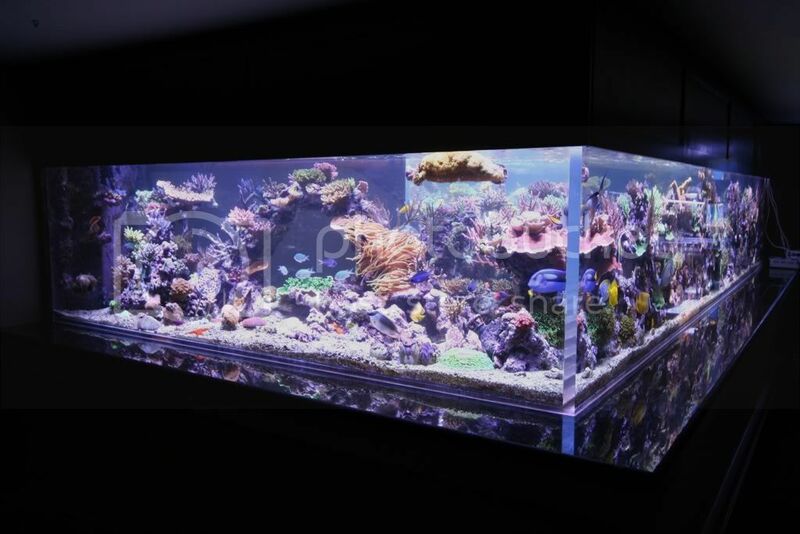 That should be a cheap inspection...especially since its "annual"
Here are some more long awaited pics of the tank.